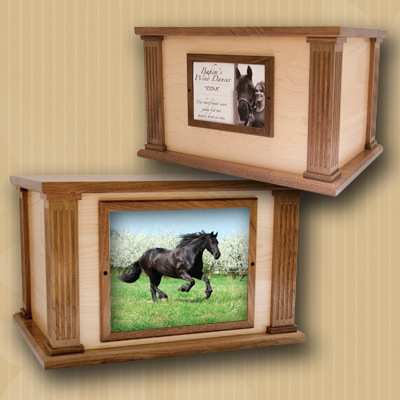 The Majestic Urn From MCS Supply Inc.
A unique combination of handcrafted maple and walnut woods. 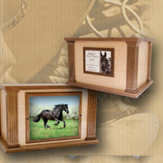 This equine urn features two photo holders for a 5" x 7" or a 8" x 10" picture. The bottom is removable for access. MAJESTIC Urn Size 18½" x 13" x 11½" 2000 Cubic"